This morning, I received a top secret message from an “Agent Pottsie” regarding a new spy-themed bar and restaurant opening March 1. I’m beyond excited because SafeHouse Chicago is an upgraded version of a Milwaukee landmark that has been hiding in the shadows for over 50 years! 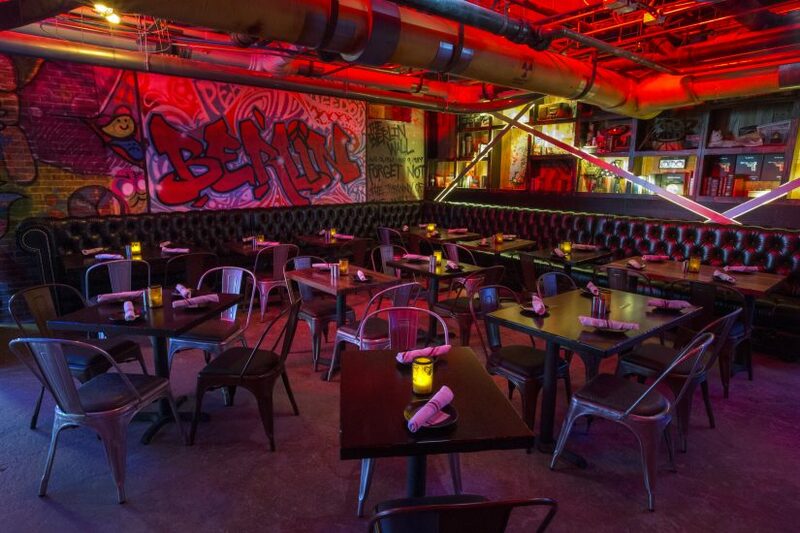 Secretly headquartered below the city streets in the vicinity of 60 E. Ontario Street, the SafeHouse Chicago fuses elements from the original Milwaukee location with modern technology. The password to enter will remain unchanged, but a new agent authentication process and unique new experiences have been installed, including the soon-to-be infamous Cone of Silence Booth. 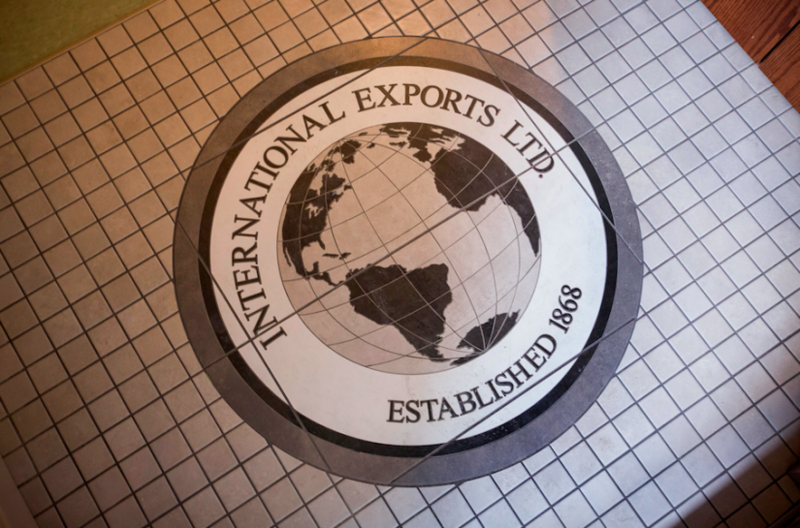 Visiting spies will be tasked with locating the top-secret entrance marked only with a sign for International Exports Ltd., flanked by a gaslight and an iconic red door. 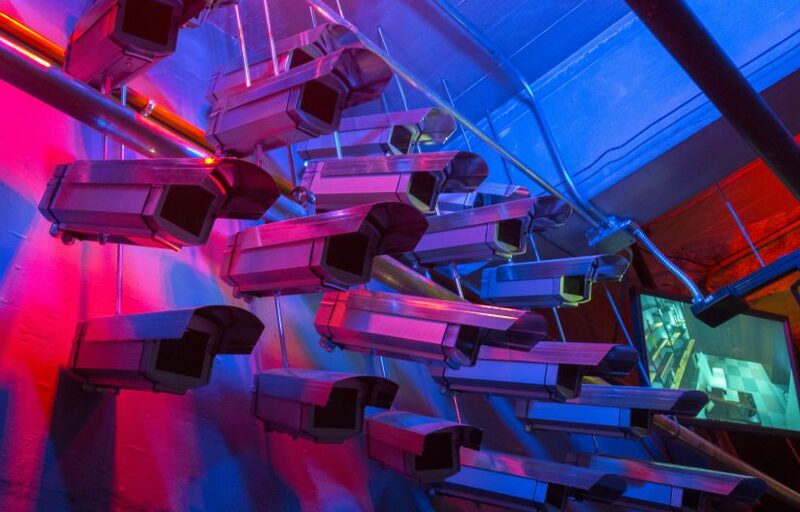 Before entering, operatives will be required to provide the password or perform a top-secret clearance test to gain entry to this newest refuge for spies from around the world. Once inside, operatives will embark on a one-of-a-kind mission as they create their own agent name and complete missions while discovering gadgets, and uncovering hidden secrets. 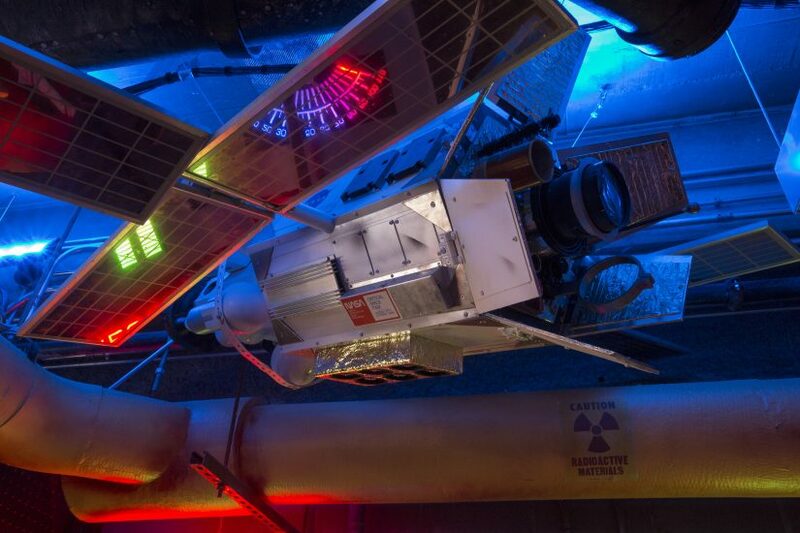 SafeHouse Chicago features upgraded decor and gadgets from it’s Wisconsin counterpart. 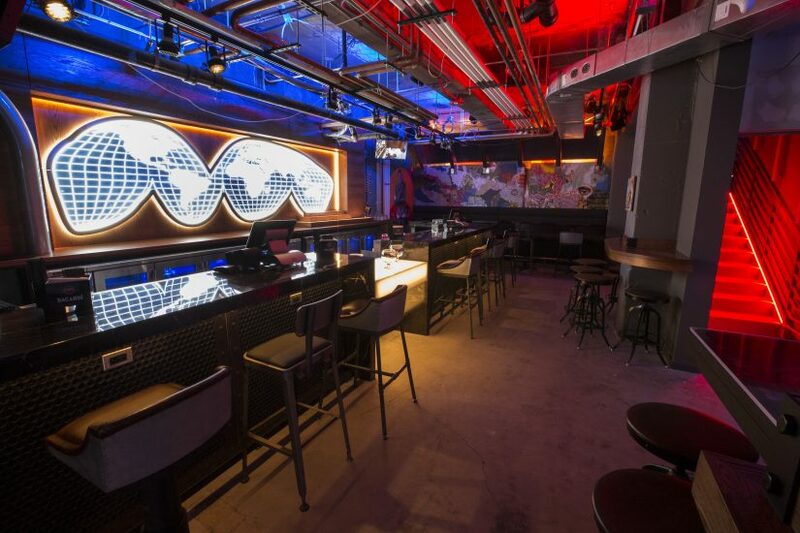 Designed by The Gettys Group, the restaurant/bar features a piece of the Berlin wall and even a flight deck from an authentic spy plane which was donated by it’s owner! 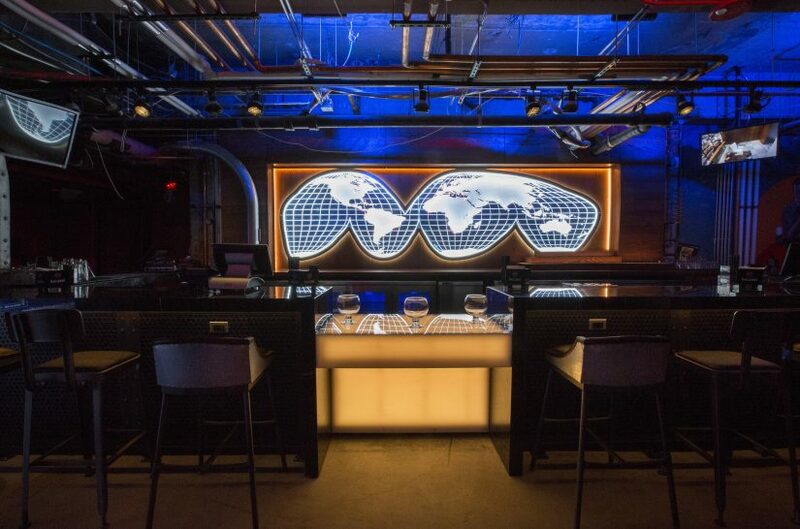 Interactive elements, such as a “Gadget Bar” featuring a nightly magician, gives SafeHouse Chicago a reason for patrons to stay a few hours and explore. 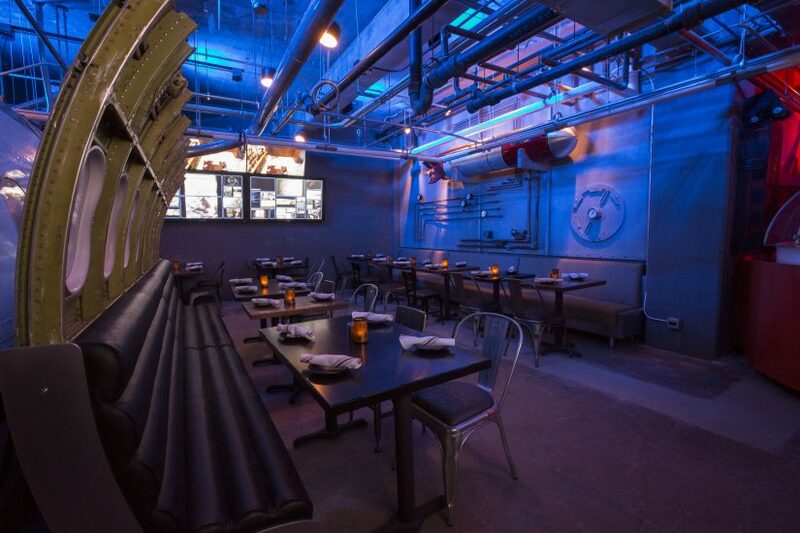 Menu items at SafeHouse Chicago include Fried C4 Cheese Curds and the hand-crafted M.O.A.B. (Mother of All Burgers). Agent Pickles (a.k.a. Head Culinary Agent David Hardy) has increased the menu from the Milwaukee location adding a wider selection as well as vegetarian and vegan-friendly options. Personally, I’m going to hit this place up the next time I am in Chicago. For more information visit www.SafeHouseChicago.com. This entry was posted in Outside The Parks and tagged Chicago restaurants, SafeHouse, SafeHouse Milwaukee, Secret Agents, Spy restaurant. Bookmark the permalink. Trackbacks are closed, but you can post a comment.